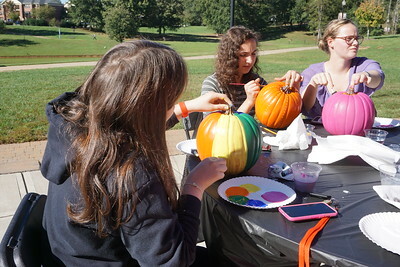 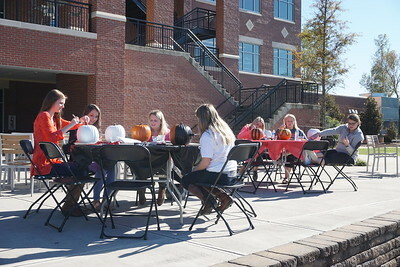 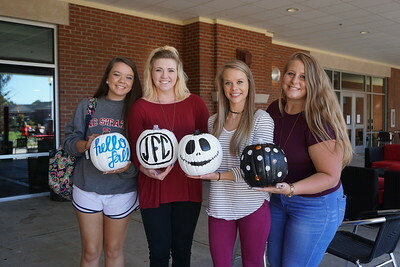 Students enjoy painting their pumpkins. 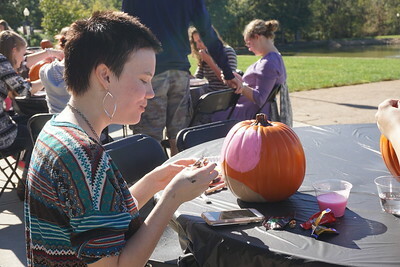 Students got to choose from an array of brushes, paints, and glitter for their pumpkins. 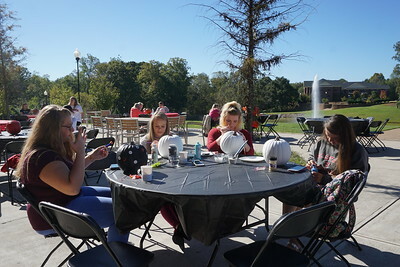 There were so many creative ideas! 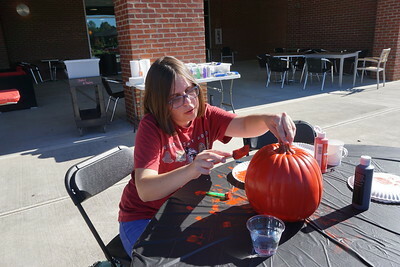 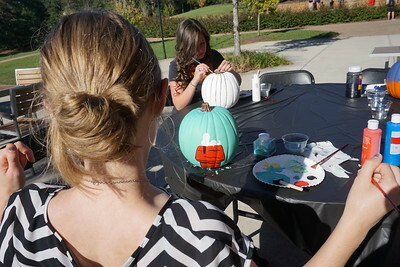 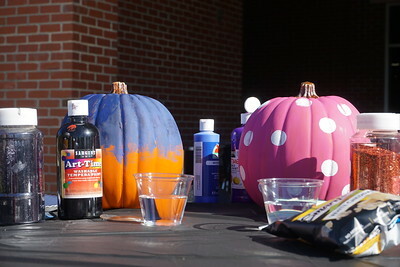 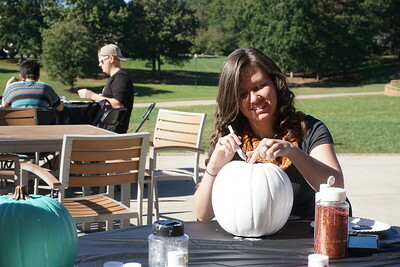 Meg Hibbitts showed her school spirit by painting her pumpkin with Gardner-Webb colors. 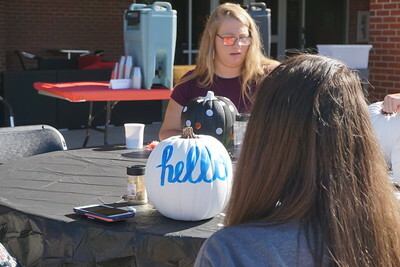 Some people chose to put TV or movie characters on their pumpkins, and others opted for patterns or words. 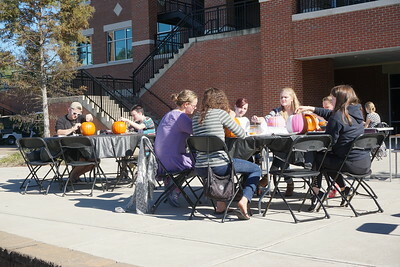 This table had lots of bright designs. 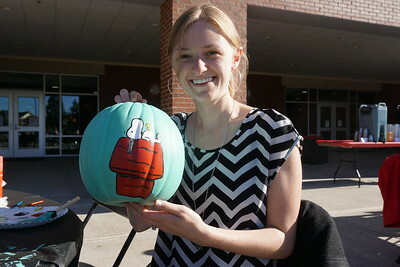 Jen Guberman worked hard on her Snoopy and Woodstock pumpkin.